Strobe Talbott’s tweet that hijackers may have wanted to use the missing Malaysian flight to attack Indian cities should be seen in the context of Lashkar-e-Tayiba’s long standing plans to attack Indian cities like Delhi, Bangalore and Chennai from the skies. Vicky Nanjappa reports. American foreign policy wonk and intelligence expert Strobe Talbott’s recent tweet that the “Malaysia plane mystery: Direction, fuel load & range now lead some to suspect hijackers planned a 9/11-type attack on an Indian city” has indeed created a stir. However, one should not forget that India’s worst enemy -- the Lashkar-e-Tayiba -- has a dedicated wing called the Jumbo Jet Room which specifically deals with aerial attacks on India. 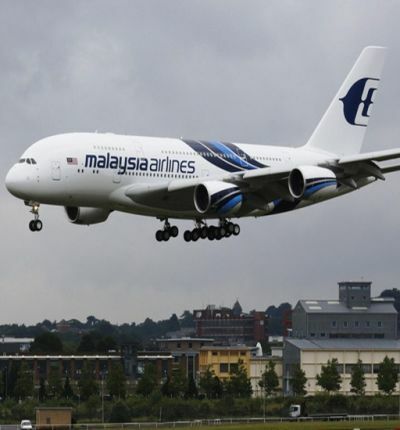 During the coordinated search operation for the missing Malaysian flight MH370, India has been looking into various possibilities. While the main attempt is to search for the aircraft, Indian agencies such as the Intelligence Bureau and the Research and Analysis Wing are also looking into a possible terror attack angle as inputs since 2008 have suggested that the Lashkar had plans of an aerial attack on Indian cities like Bangalore, Delhi and Chennai. “We are looking into every possible angle and the threat of an aerial attack on India is very much a possibility. But it is too early to conclude anything”, an Intelligence Bureau official tells Rediff.com. Talbott’s tweet cannot be ignored and investigations in India will focus on that angle as well. However, for now it could be safely concluded that no plane movement was caught on India’s radar thus giving the indication that it could have been a failed attempt. Sources in the intelligence agencies also say that the other possibility could be that the plane has landed at an undisclosed location and could be used for an attack. However, the more realistic scenario for now would be a failed attempt and the plane has crashed into the sea, sources point out. Does the Lashkar-e-Tayiba have the capabilities to carry out a 9/11 type attack? It is very much capable of the same, an official informs. The outfit set up a unit called the Jumbo Jet Room three years prior to the 26/11 attacks on Mumbai. It was situated at Muzzaffarbad in Pakistan at first but later the unit was moved into a huge 15,000 square feet bungalow in Karachi. The unit was moved after there was heavy scrutiny post 26/11 attacks and they felt that Karachi was a safer bet. The Jumbo Jet room is under the control of Yakub who is also the mentor of arrested Pakistani American 26/11 accused David Coleman Headley. According to the accounts provided by several Lashkar-e-Tayiba terrorists, this Jumbo Jet Room was specifically set up to carry out aerial attacks on India. The unit has around 150 operatives who have not yet been used for any operation. They comprise trained pilots and technical experts who hail from various parts of the world such as Saudi Arabia, Malaysia, Dubai and Iraq. The unit has access to jets which are often used for training. In addition to this there are also 150 parachutes and there are a set of men trained for paragliding as well. The various plans that are hatched would involve a 9/11-styled attack and also having terrorists dropping down from the hijacked plane and then carrying out a fidayeen attack on Indian soil. As per the investigation that has been carried out by the National Investigation Agency post 26/11 attacks, there were plans hatched by the Lashkar to carry out an aerial styled attack on several cities in India such as Bangalore, Delhi and Chennai. The first of the alerts regarding an aerial attack came out a few months after the 26/11 attacks. It was a specific alert which was confirmed by the then Air Force Chief Fali S Major. He had told Rediff.com that there were reports regarding such an attack, but also added that the Air Force was well prepared and would thwart such an attempt. Following this there was another alert ahead of the Commonwealth Games that were held in New Delhi. The alert suggested that there was a possibility that terrorists may try and strike through the skies during the event. After this there were two more alerts regarding a 9/11-styled attack during the 2012 and 2013 Independence Day celebrations. In this context the investigations conducted by the agencies in both the Abu Jundal and Pervez Iqbal case would be interesting to note. Jundal of the Lashkar does speak about the Jumbo Jet Room in Karachi and says that the outfit was serious about such attacks. Iqbal, who was part of the Indian Mujahideen, says that it was very much on the mind of the outfit but they were lacking in resources. Yasin Bhatkal too speaks about an aerial attack and says that it was on their radar, but there were not enough resources available with them. Indian Intelligence agencies say that the Jumbo Jet Room which was set up prior to the 26/11 attack is one of the most important units of the Lashkar. It is a very sophisticated wing of the outfit which not only comprises operatives, but also former officers of the Pakistan Air Force. “They had proven their capabilities of a major hijack in the Kandahar incident. The Lashkar as an outfit always has a surprise element in its attacks. They attacked India on land and also from the sea and it is very much a possibility that they will attempt to attack us from air too. “Since the radar on such activities is extremely high in India due to repeated inputs and alerts, there is no ruling out the possibility that they may use another country’s airline and try and attack India”, the IB official also points out. Lashkar purchases paragliders. New terror plot?